Located just south of Malibu and north of Santa Monica is the beach community of Pacific Palisades. This is a quiet residential area just on the outskirts of Los Angeles and a very upscale area with large single family homes located near the beach. There are many diverse areas here that offer bluff front, ocean view and canyon locations. There is also a nice mixture of residential condos in Pacific Palisades in all price ranges. Below is our guide to Pacific Palisades Real Estate. 1) Alphabet Streets. Located in the village area of Pacific Palisades you will find a great neighborhood named Alphabet Streets. Located in the heart of town, the homes are reminiscent of small vacation beach homes that were built from the early 1920's to brand new construction homes. The area got it's name from the streets starting with "A", "B", "C", etc. The homes tend to be located closer together and much smaller than other areas of Pacific Palisades. For those looking for a great community feel that offers true walk ability then this is the right community for you. 2) The Highlands - One of the newest communities in Pacific Palisades is the Highlands area. Here you will find numerous residential homes and condos for sale and for lease. If you are looking for a planned community or a gated neighborhood then the Highlands is the place to start your search. Select homes in this area will have panoramic views of the ocean. The area is located north of Sunset and is the largest area in Pacific Palisades. 3) Huntington Palisades. The Palisades is an upscale area and the closest community located near the beach. The homes in this area are very large and located on over-sized lots. This is a widely popular area due to it's location and mature homes and landscaping. Many enjoy walking in this neighborhood and is also one of the most expensive areas in Pacific Palisades. There are many bluff front and ocean view properties in this area so if you are looking for a home by the beach this is the right location to search. 4) The Rivera. The Rivera area is located adjacent to the Rivera Country Club and is also home to many upscale and large estate homes. Popular streets like Amalfi drive offer huge luxury homes that offer views of the ocean with pool size lots. The properties are located south of Sunset and north of San Vincente Blvd. 5) Castellammare. The Castellmmare area is located near the Getty Villa and just south of Malibu. 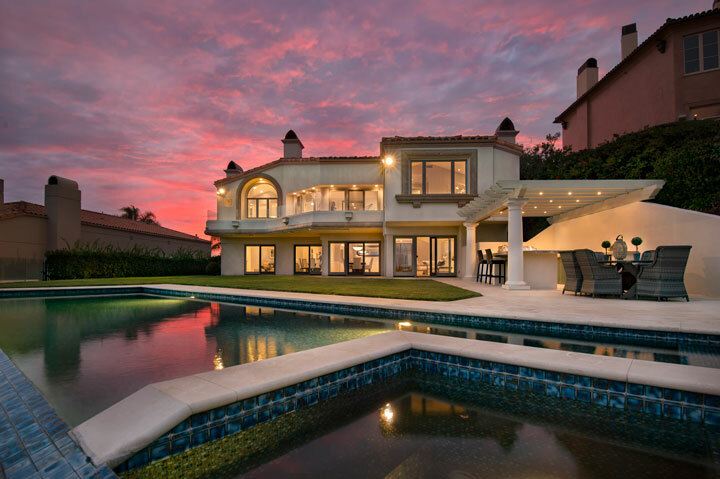 This is probably the best area to find ocean view homes in Pacific Palisades. The streets can be winding and narrow but can offer panoramic coastline and ocean views. The homes also have quick access to the beach and Pacific Coast Highway. 6) Marquez Knolls. This is a great family oriented neighborhood located north of Sunset and near the Pacific Palisades High School and Marquez Elementary. The area stretches high on the hill side with panoramic views ocean and city light views. Residents in this area can easily walk to the Village area and the beach is only a quick 10 minute drive. 7) Rustic Canyon. For those looking for a home in more of a natural canyon setting in Pacific Palisades then the Rustic Canyon is the right area to look. It's amazing that this area can be so close to the beach but still feel like one is in the middle of the country side. The landscaping is very mature here and there is a nice recreational center in the center of the community with a nice park and children's play area. The beach is located just blocks from this location making it an ideal choice.